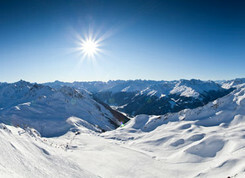 The Silvretta Montafon is a ski and snowboard paradise for beginners and professionals, for piste fans and freeriders. It offers 141 km of marked descents of different degrees of difficulty, including 60 km of blue, 45 km of red and 10 km of black pistes. The Hochjoch-Totale (14 km) is the longest valley run of the Vorarlberg. Various permanent race tracks and fun parks offer fun and action. 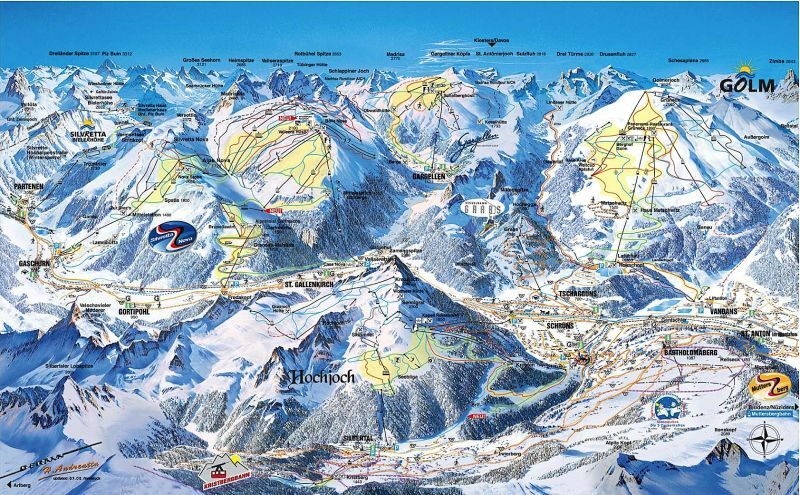 Off-piste skiing and snowboarding is possible in the unrestricted areas with many designated ski routes. 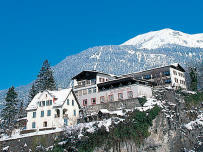 We will stay at the four-star hotel Schlosshotel Dörflinger in Bludenz (www.schlosshotel.cc). All rooms are equipped with bathroom facilities, satellite TV, telephone, minibar and safe. Free w-lan is available. The accommodation includes breakfast on Saturday and Sunday. Al four-course menu for dinner is optional on Saturday. Since the distance Darmstadt-Bludenz is only 430 km, we expect an only four to five hours bus drive to the hotel, leaving Darmstadt on Friday, 2nd of February. On the way, we will stop for dinner. On Saturday and Sunday, we will take the bus to St. Gallenkirch, from where you can choose between two gondolas leading to different ski areas. On Sunday afternoon, we will take the bus back to Darmstadt, again stopping for dinner on the way. Price includes bus transfer, ski pass, accommodation and breakfast.